In November 2018, we decided to have our main bathroom renovated and ultimately, we chose Patrick and ELEGANT BATHROOMS in Stoney Creek. Patrick was very flexible in terms of allowing us to become as much - or as little involved as we wanted throughout this process. The selection of fixtures we had available to pick from were plentiful and all, were top of the line quality. All of the trades people that were brought in, were very professional and the level of work they did was not only neat but the workmanship was outstanding. As one might expect, we had a couple of bumps in the road along the way, however, Patrick was very attentive and bent over backwards to ensure our satisfaction. Also worthy of mention was the fact we had hoped to have the bathroom renovation completed prior to our boys arriving home for Christmas holidays and the window we had for a projected completion was very small. Patrick got all of the trades people on board and working within a very tight timeframe, managed to complete the renovation in time. Very satisfied customers. Hello Kane, thank you so much for taking the time to share your thoughts. We are extremely happy with your main bathroom renovation. Our team at Elegant Bathrooms is proud to have been apart of your bathroom renovation. We look forward to servicing you again in the future. Patrick and his team from Elegant Bathrooms did an outstanding job with our renovation. They were knowledgeable, prompt, polite, and paid attention to every detail. The project stayed on time and on budget, and we couldn't be happier with the result. We will definitely be recommending Elegant Bathrooms, and using their services in the future. Thank you! So much for leaving us your thoughts . 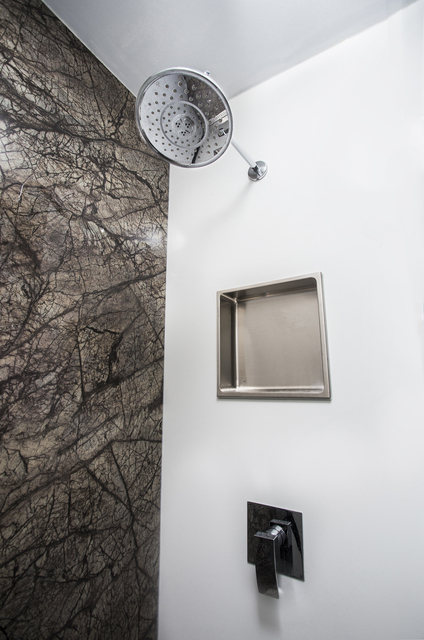 We absolutely loved the end result of your basement shower renovation. Elegant Bathrooms hopes to service you again in the future. Pat, took the time to understand my needs and knew what would work best for my house. His recommendations were exactly what I was looking for and his team did an excellent job installing all the equipment paying attention to all the details. I will definitely use Pat and his team again. Thanks Nick! We are great full that you took the time to leave us your thoughts. We couldn't be more happy with the final result of your en-suite and main bathroom renovation! Elegant Bathrooms hopes to service you and your family again in the future. Patrick & Ian converted out bathtub to a shower for my father in law who was moving in with us. The project turned out fabulous, they incorporated the needs of my father in law as well as my son. My father in law got a beatiful non slip shower with a built in golf down teak bench and my a large shower head. The project is not only functional but beautiful. Thank you Judy. Elegant Bathrooms is proud to be a part of your en-suite bathroom remodel and your main bathroom remodel. I really love the barrier free walk in shower in the en-suite and the feature wall behind the toilet in the main bathroom. I can't wait to see the after pictures! We hired Patrick and Elegant Bathrooms to renovate the bathroom in the house we had just bought because there was no bathtub. They replaced everything in the bathroom and it looks beautiful. The bathtub/shower surround is particularly stunning. We appreciated that once work started, they showed up every day and gave us their full attention. 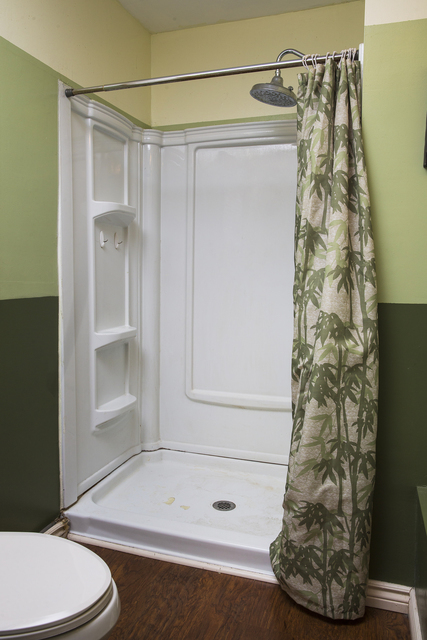 This past week my mother had her old jetted tub and surrounding panels removed and a walk in shower installed. Patrick, the owner, carefully listened to our requests and came up with a design and a plan that would best fit her needs. Ian came to complete the work and did so in a timely, tidy, and efficient manner. Always very professional, he also made the time to patiently answer our questions and concerns. The resulting walk-in shower functions as we'd hoped and is just beautiful. We would definitely work with this company again as they did a commendable job. Hi Judy. Thank you so much for leaving us your thoughts. I am glad to hear you enjoyed working with Ian. It was truly our pleasure! I am grateful to have had the opportunity to help you and your mother with your whirlpool tub to shower conversion. We appreciate your attention to detail and hope you enjoy your new walk in shower. Elegant Bathrooms hopes to service you again in the future. We had Patrick and his team work on our entire main floor from walls and ceiling to flooring. This also included redoing two bathrooms. The work done was exceptional! We also had a tight deadline for the work to be completed and he was able to meet our schedule and get us into our house right on time. We would absolutely recommend and use Patrick again in the future. Thank you Steve. It was a pleasure working with you and Elaine on your new home. I really appreciated your trust in me and my team. I really loved the freedom you guys gave me to design the shower. Elegant Bathrooms is looks forward to working with you on phase 2. We had our shower insert taken out and marble and glass doors installed. The shower looks amazing and the service was very professional. The guys were very knowledgeable and kept everything very clean throughout the whole process. Our shower looks like it came out of a cateloge now and we love showing it off. Would highly recommend to others and would definitely return. Thanks Suzon. 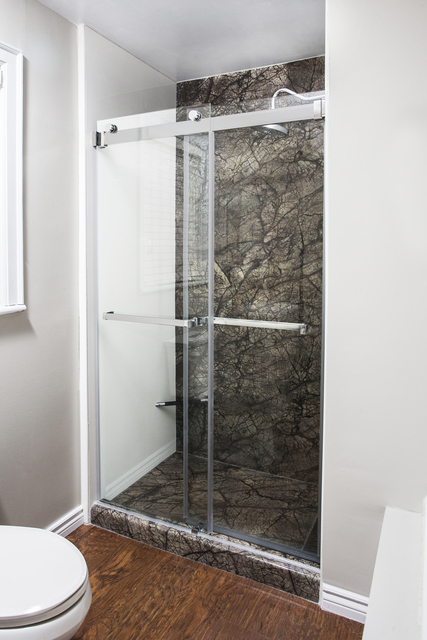 We loved helping you put the final touches on your shower area renovation. Elegant Bathrooms is great full to work with you. 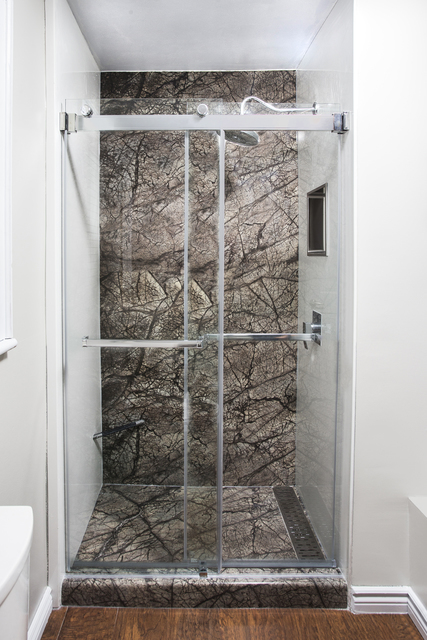 Loved the Seamless Wall panels in the shower!!! 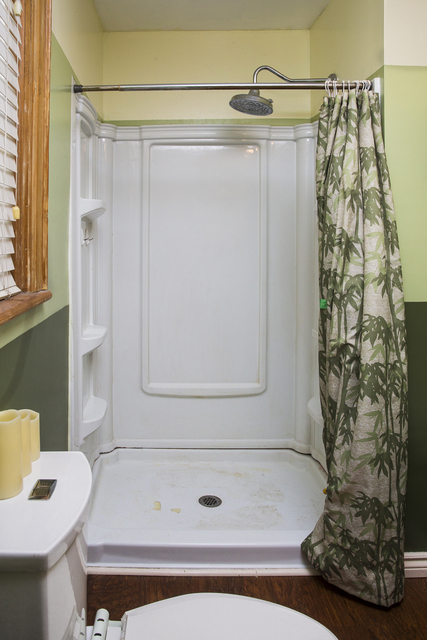 When my husband and I were planning on renovating our very outdated bathroom, we were instantly relieved when we met with Patrick. His expertise in this field made the whole process a dream. He met with us in our home and his showroom and gave us some very exciting options. He listened to our needs and wants always keeping our budget in mind. We live in a high rise condo and our Board of Directors were concerned about what damages, debris would possibly occur. Patrick and Dolnick when above and beyond making sure there was no mess. The craftsmanship is very impressive. We would definitely recommend Elegant Bathrooms to anyone who wants a beautiful addition to their home. Elegant Bathrooms is a one-stop bathroom renovation store. We provide products and installation services specifically for your unique situation. We help homeowners, and work with independent contractors and designers, to achieve your dream bathroom. Whether you are modernizing a tired look, or something needs to be repaired or replaced, we can help you with the products and installation to get the job done. Yes, 5 years workmanship. Please ask for more details.